what’s in a haft sin? Happy 1394! 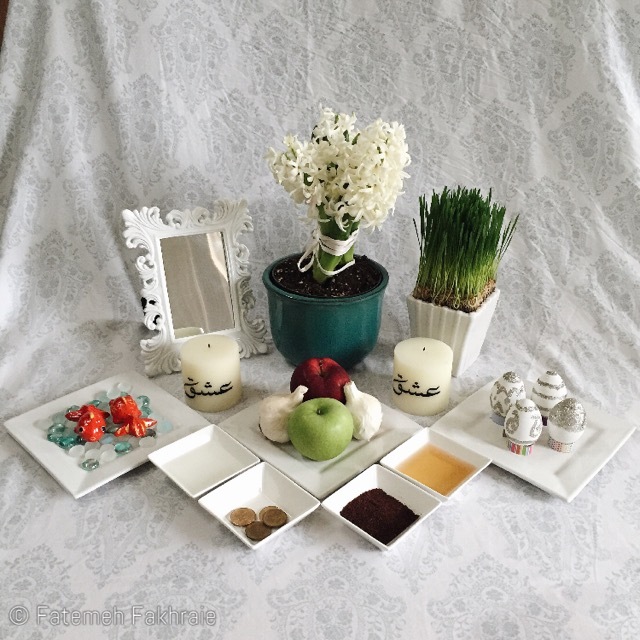 Nowruz (نوروز), also known as Persian New Year, is the beginning of the Iranian calendar year. It’s also a religious holiday for the Baha’i and Zoroastrian faiths, both of which originated in Iran. Nowruz is the same day as the Spring Equinox and marks the beginning of 1394.